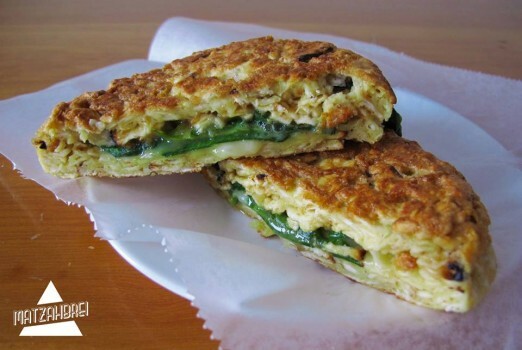 As you know, NYC is a great street food town, and Queens has a lot to offer to the scene. This year’s 12th Annual Vendy Awards features some fantastic Queens folks, including Arepalicious, NJS, MATZAHBREI, Tuson Sate, Delmy’s Obleas, A Lil’ Bit of Fun, Puran Dhaka, and Sisig City. 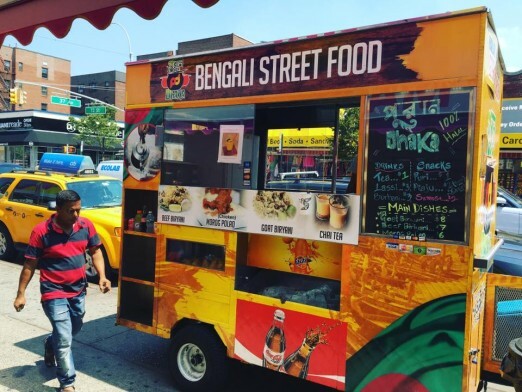 One of Astoria’s contributions to NYC’s street food scene is Puran Dhaka, who often sets up on Ditmars by 31st Street (adjacent to El Rey del Taco) in the evenings, and offers tasty, tasty Bengali food. They are vying for the Rookie of the Year award. Astoria also represents with MATZAHBREI, which has been at the Astoria Flea’s night market, the final installation of that happening Saturday, July 30 (tomorrow!). They are vying for the Best Market Vendor award—if you like matzah brei (matzah soaked in liquid and often mixed with eggs, and then fried), you should check them out. Their brei is totally vegetarian, using cage-free eggs and vegans, you’re in luck—they can accommodate your needs and desires, too! And while not based in Astoria, Delmy’s Obleas’ owner is from Astoria, and she sells her delicious confections in Jackson Heights. Obleas are a real treat—thin wafers filled on the spot with dulce de leche, and sometimes fruit puree. She is vying for the Best Dessert award. Mysttik Masaala’s cart when they used to be on Steinway. I also noticed that Mysttik Masaala is a finalist in the new Vegan category. This cart shows up from time to time in Astoria, and used to set up regularly on Steinway near Broadway. Their food is so good! I wish they’d spend more time in Astoria. The Vendy Cup finalists will be revealed soon, as will the Hero Award. 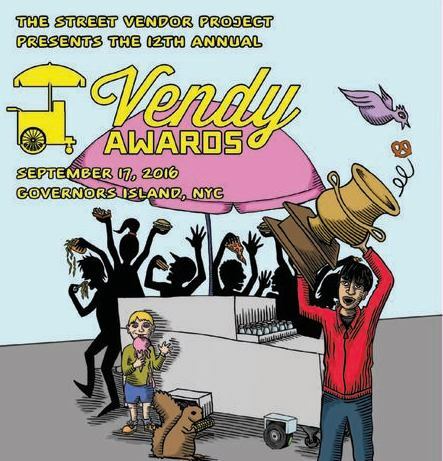 The Vendy Awards event will take place on Saturday, September 17 from 12:30pm to 5pm on Governors Island. For more information on how to attend and/or volunteer, among other things, head here. As for the food truck/street food scene here in Astoria, there are some great ones. Perpetual favorites include King Souvlaki (31st Street/31st Ave), King of Falafel (now on Ditmars near 31st Street, along with the more pod-like structure on 30th Ave), Souvlaki Lady (33rd Street near Ditmars), El Rey Del Taco (Ditmars and 30th Ave), Halal carts and souvlaki carts on Steinway, and the awesome Breakfast Shack truck (Athens Square Park). 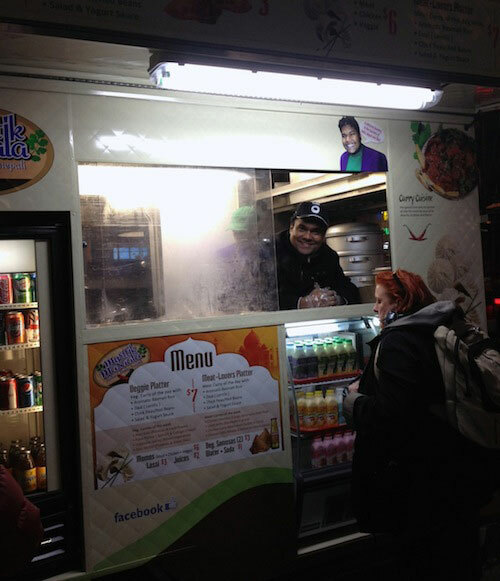 Mr. Loukouma has set up shop in the Ditmars/31st area in the past, the Langos Truck sometimes makes an appearance around town, another Greek truck shows up sometimes on 31st Street near 23rd Ave, and of course all the Mr. Softee/Master-Softee-Now-NY-Ice-Cream trucks that are all over the place. I’ve also heard about another taco truck in the neighborhood that is supposed to be very good but never tried it myself. So what are we missing? Are there any street carts/trucks we should know about? Leave us a comment!